First edition published by Entr'acte, 2011. Compact Disc. Edition of 200 copies with glow in the dark cover. 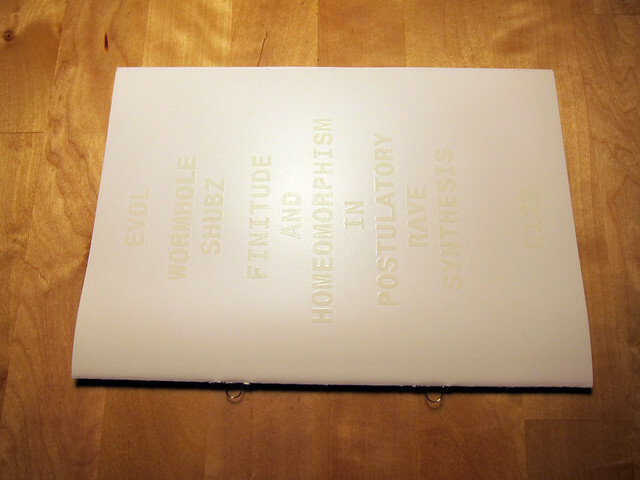 Second edition published by Entr'acte, 2014: Wormhole Shubz - 2014 edition. Digital download (with 2 extra tracks) + redesigned booklet. The tracks on this album were written and recorded in Alloa (Scotland) and Barcelona (Catalonia) between 2009 and 2011 by Stephen Sharp and Roc Jiménez de Cisneros. The booklet accompanying this record includes an interview with Eric Persing, founder of Spectrasonics and father of the legendary ‘hoover’ sound. Wormhole Shubz constitutes a new step forward in the ongoing audio research/frenzy that Sharp and Jiménez de Cisneros call Rave Synthesis — a deconstruction of rave culture icons under radically different compositional strategies.1 A combination of trance inducing exercise and hooliganistic noise, Wormhole Shubz pulls the listener into a maelstrom of quasi-periodic patterns and large-scale whirling structures that provide a renewed morphology for custom-made hoovers, supersaws, and other oddly familiar club culture standards. The tracks on Wormhole Shubz are based on the principle of topological homeomorphism. “A homeomorphism, also called a continuous transformation, is an equivalence relation and one-to-one correspondence between points in two geometric figures or topological spaces that is continuous in both directions.” 3 In other words, two geometrical objects are homeomorphic (or equivalent) if you can obtain one by continuously deforming the other – and back again. 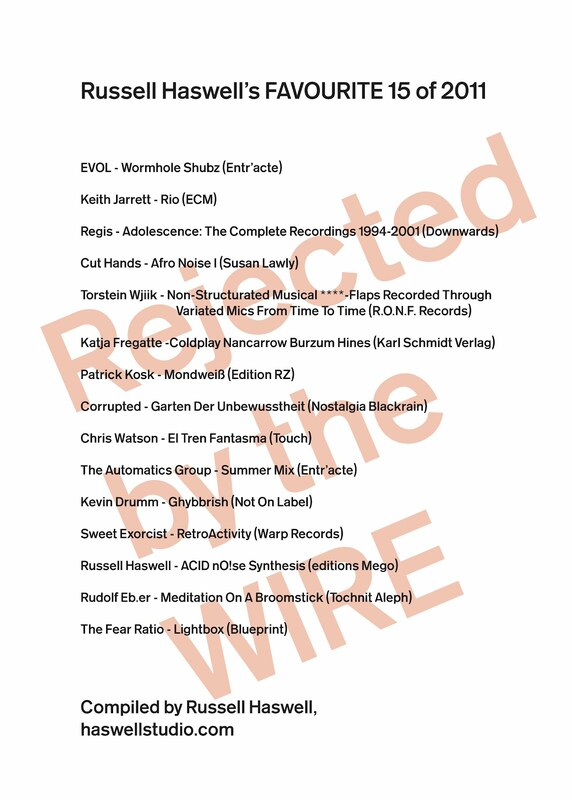 The structures of these tracks, both at a macro and micro level, are continuously stretched and bent, and only occasionally does the listener find gaps in the constant deformation of pitch streams and gliding tones that gives rise to these seven monoliths. Some have referred to it as “sonic Play-Doh”; they have previously called it “rave slime”. 1 Jiménez de Cisneros, Roc. Continuum, expanded. London: Sound Proof 4, 2011. 2 Mountain, Rosemary. ‘The Breathing of Time in(to) Music’ in Proceedings of the 5th Triennial ESCOM Conference, R. Kopiez, A. C. Lehmann, I. Wolther & C. Wolf (Eds.). Hanover: University of Music and Drama, 2003. 3 Weisstein, Eric W. ‘Homeomorphism’. From MathWorld: A Wolfram Web Resource.